Our range of products include temperature sensors and rs 485 to usb convertor. All types of thermocouple assemblies like J , K, R, S & T and RTDs. All type of protection sheathings like SS 316, SS 310, Inconnel 600, Ceramic Tubes etc. quick disconnect type connectors, spring loaded blocks, flying leads etc. 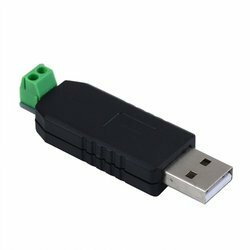 we are manufacturer of RS 485 to USB Convertor.